This week's topic from The Broke and the Bookish is: Top Authors I've Only Read One Book From But NEED to Read More. 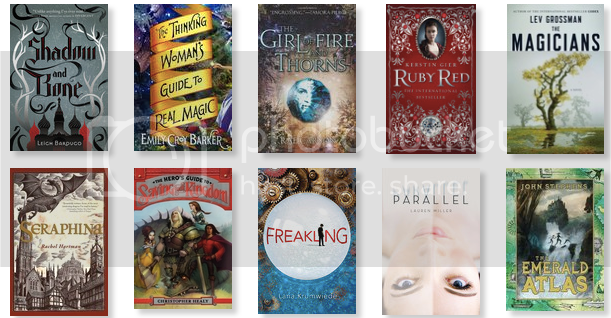 Mostly, these are books I loved, and definitely want to read the sequels, but just haven't had the time yet. Lots of fantasy and time-travel here! What authors have you had a sample of, but just can't wait to read more? I wish I'd remembered to add Rae Carson to my list, I need to finish that series. Can't wait for the release of Shadow Scale. I SOOOOOOOO vote for reading the rest of the League of Princes books. They are hilarious, although nothing tops the firs tone.